Dr. Peters’ focus is patient care. 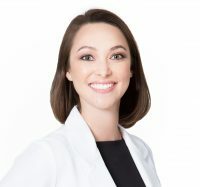 She is dedicated to providing the highest-quality skin care using state-of-the-art technology and the most advanced techniques to customize every treatment to meet each of her individual patient’s needs. Dr. Peters’ professional memberships include the American Academy of Dermatology (AAD), the American Society for Dermatologic Surgery (ASDS), American Society for Laser Medicine and Surgery (ASLMS), the Washington D.C. Dermatological Society, and the Women’s Dermatologic Society (WDS). Having known Dr. Peters for well over a decade, since medical school, I can attest that she is an extremely intelligent, caring physician with a thoughtful approach to her patients. Her patients will get the very best care! 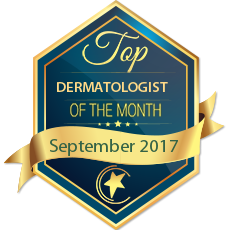 Dr. Peters is an incredibly talented dermatologist with a great eye for aesthetics. She is compassionate and personable, with sound judgement, and I would trust her with any of my patients. Dr. Tania Peters is one of the hardest working, skilled, most caring and compassionate doctors that I know. I would highly recommend her to any patient. I have known Dr. Tania Peters since medical school. She is one of the most hard-working and professional physicians I know. I would highly recommend her to my closest friends and family. We trained together, and Tania is one of the most conscientious people I have known. A dedicated and truly caring person and doctor, anyone would be lucky to have her as their doctor. I have personally known Dr. Tania Peters since Medical School and can say she has always been an exceptionally hard working, dedicated, bright and talented physician. 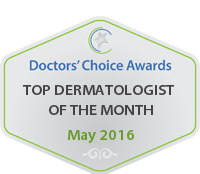 She has great compassion and care for her patients and professionally is a pleasure to work with. Dr. Peters is an outstanding physician and colleague. Her knowledge base far exceeds standard of care and she has a very kind and caring demeanor.